According to WHO, India has the highest number of preterm births—over 35 lakh every year. Approximately 13 per cent of the babies born in India are premature, and 28 per cent of them are born with low birth weight, causing infant death. In addition, India has one of the highest mortality rates in the world among children under five. Most of these occur due to diarrhoea or other infectious diseases which are often observed among children who are fed substitues like formula milk or cow’s milk. Early breastfeeding that starts within the first hour of birth is being propagated as the most effective method to ensure that the infant receives the necessary nutrition required for a healthy immune system that can fight infections. Premature, sick and newborn babies have higher chances of recovery if they get breast milk, preferably from the mother. If the mother is unable to feed, then the next best option is human breast milk from the bank. Human milk bank was first introduced in India three decades ago to tackle the increase in neonatal deaths. Breast milk that has been expressed, pasteurised and stored in sterilised conditions is safe and healthy for babies. These banks are especially useful for hospitals with a neonatal intensive care unit (NICU), which often sees high demand owing to nursing of premature or sick infants. While the government is actively working towards setting up of a human milk bank network across the country, regulation and policies to ensure quality and safety of milk becomes critical. This is important since donated milk could be harmful for the recipient if contaminated with bacteria or viruses. To address this concern, all banks must adhere to strict screening measures to ensure that the donor is healthy. A donor must be tested for drug abuse and diseases like HIV, HTLV, syphilis, hepatitis B and C. The donor must also inform if she has had transplants or surgeries in the past. If the donor does not meet the guidelines, she should not be deemed fit for donation. It has been reported that some banks do not practise pre-pasteurisation testing, which causes 30 per cent wastage of donor milk. Moreover, when human milk becomes a commodity, there are also risks of adulteration to enhance supply and profit. These risks warrant safeguards. The government should lead the process for developing and regulating operations of human milk banking to ensure safety. Operations for storage, pasteurisation, checking contamination, and monitoring the milk donations must be clearly defined so as to avoid wastage. New mothers should be given support for lactation and breastfeeding. This may even lead to more donations as women who receive the right support can be counselled to donate extra milk. This will serve as a huge boon for mothers who are unable to breastfeed. Awareness initiatives from the government and medical fraternity will help establish the system. But, in scaling up human milk banking across India, the government needs to ensure the right safeguards are in place. 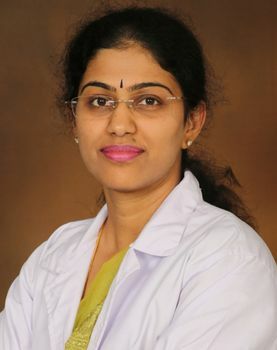 Dr Nirmala Chandrashekhar is consultant, obstetrics, gynaecology and gynaecologic oncology departments, BGS Gleneagles Global Hospitals, Bengaluru.